For diabetic patients, drawing blood samples for periodic monitoring on blood glucose levels could be an annoying and often a painful task. 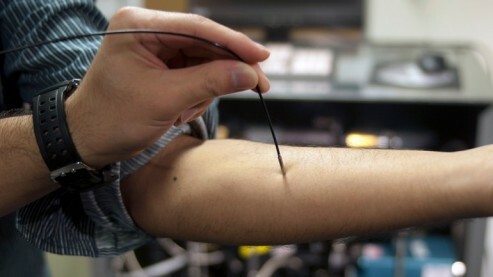 Triggered by this idea, researchers at MIT’s Spectroscopy Laboratory are now been working on a ‘noninvasive’ way to measure blood glucose levels using light device. 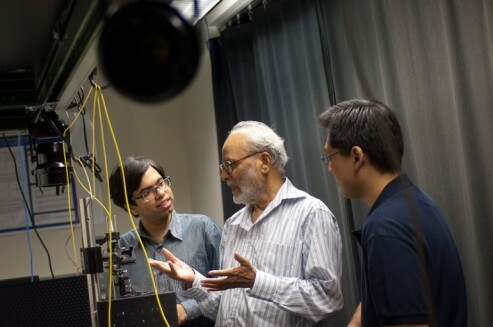 This idea is envisioned by late MIT professor of physics and former director of the Spectroscopy Laboratory, Prof. Michael Feld, that uses Raman Spectroscopy to identifies chemical compounds based on vibration frequency that hold molecule together. The technique is as simple as scanning a patient’s arm or finger with near-infrared light and thus no drawing of blood samples is necessary. And base on Prof. Michael Feld’ idea, two Spectroscopy Lab graduate students, Ishan Barman and Chae-Ryon Kong are developing a laptop size spectroscopy machine that could be used by hospital’s doctors or home patients. And according to the MIT’s statistical record, the device could help nearly 1 million people in United States alone, and millions more worldwide patients that suffer type 1 diabetes disease.